Last week’s show (January 10, 2013), discussed the efficacy of proposed school closings in the District of Columbia, with emphasis on the DC Fiscal Policy Institute’s study. 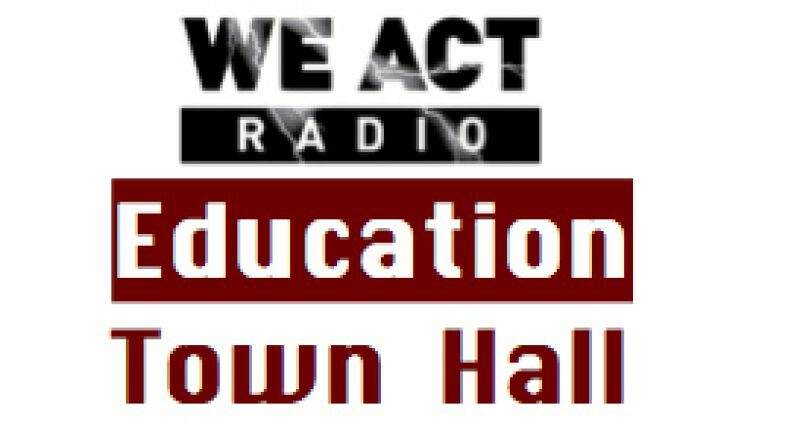 For that show the Education Town Hall asked for comment from DC Public Schools, the Mayor and the Deputy Mayor for Education (DME), the Chair of the DC Council, and members of the Council’s newly reconstituted Education Committee. We received none. EDUCATION TOWN HALL: Does the Mayor or DME have the detail that DCFPI’s Soumya Bhat notes is missing from DCPS’ proposal, detail any taxpayer expects to see?I.e., has DCPS shared with the executive what specific savings can be expected, how they will be achieved, and how they will be spent, assuming there is anything to spend? DME/DCPS: The Chancellor has worked very closely with the Mayor throughout the school consolidations process. The first step is to finalize the list of consolidations, which could not happen until the public had an opportunity to provide input on the consolidations proposal submitted by the Chancellor last November. Going forward, the Mayor and Chancellor are committed to ensuring that the more efficient use of funds realized as a result of consolidations will help increase the quality of the schools remaining in DCPS’ portfolio. EDUCATION TOWN HALL: Is the executive pursuing any related effort that would either limit the opening/relocation of charter schools or insist on coordinated planning between DCPCS and DCPS? DME/DCPS: The Mayor frequently meets with his entire education cabinet, including the Executive Director of the Public Charter School Board, to discuss issues of common concern for the District’s entire portfolio of schools. As part of these discussions, the Mayor will lead the effort to coordinate planning between PCSB and DCPS. EDUCATION TOWN HALL: Where is the Community Conversation report? What do you say to citizens who see planning finalized without their input ever published as promised? DME/DCPS: Notes from the community conversations were published by Public Agenda last month and were shared with the Chancellor. Feedback from the community has informed, and will continue to inform, plans for the District’s portfolio of schools going forward. DME/DCPS: Both the Mayor and the Chancellor are committed to ensuring that the District’s public school children are able to access high quality programs. Ultimately this is a system of choice, and families are in the best position to decide what type of program is best for their children. DCPS has provided all families who may be impacted by the consolidations proposal with information about DCPS options available to their children, and has been working with families to ensure that the transition to receiving schools is as seamless as possible. EDUCATION TOWN HALL: Is the executive satisfied that the closing proposal, with no specifics shared with the public (as of 1/8/13), will improve education of remaining students in DCPS, draw additional enrollments, or increase trust in the DCPS brand over the long haul? If so, please share the basis with listeners. DME/DCPS: As stated above, the first step in the consolidations process is to determine the final list of schools, which could not be determined without first obtaining community input. Once the list is finalized, the Mayor and DCPS will be able to share more detail on DCPS’ plans for improving the quality of the schools remaining in DCPS’ portfolio. EDUCATION TOWN HALL: Has the executive investigated how this proposal will affect taxpayers, with or without children in the schools, in the long run? DME/DCPS: Both the Mayor and the Chancellor are taking a long-term approach towards right-sizing DCPS’ portfolio and ensuring that the District supports quality DCPS programs now and going forward. Part of this planning involves recognizing that we have to safeguard the needs of not only families with children in the system now, but of families who may become part of our public school community in the future. EDUCATION TOWN HALL: Anything else you would like citizens to know related to this process or the health of our schools? DME/DCPS: The Mayor and the Chancellor appreciate the public’s input on the consolidations proposal. The conversations were insightful and helpful and they look forward to continuing their work with the community towards the goal of quality schools for all students throughout the City. Previous Post: Councilmembers: As my representative, ask the Chancellor….